Valentine’s Day is a day devoted to love. Many of us will write special notes and cards for our spouses, children, parents, or friends. Couples will share candlelit dinners, flowers, chocolate, and gifts. While there is nothing wrong with this at all, we have a challenge for you. When you come up for air afterwards, we want you to share the love. We challenge you to Freeze it Forward! Share the love by sharing a meal with someone who needs it. Single servings of Seaton Sunday Roast Chicken and Paleo Parent’s Lactation Cookies for a family with a baby in the NICU – delivered by OAMM staffer. CHALLENGE: Find someone in your community who needs encouragement and bring them a meal! It could be someone you already know or someone you have yet to meet. We have done this challenge in the past, so we have lots of resources to help you make this happen. Most of you already have a freezer full of meals, so all you have to do is pick one, pack it up, and drop it off. If you feel comfortable doing so, we would love for you to share with us on social media to encourage others to freeze it forward (no names necessary). Use the hashtag #freezeitforward and #onceamonthmeals on Instagram and Facebook. Again, if you want to give in secret, you can simply email us the image at info@onceamonthmeals.com and we can post it for you with no names! 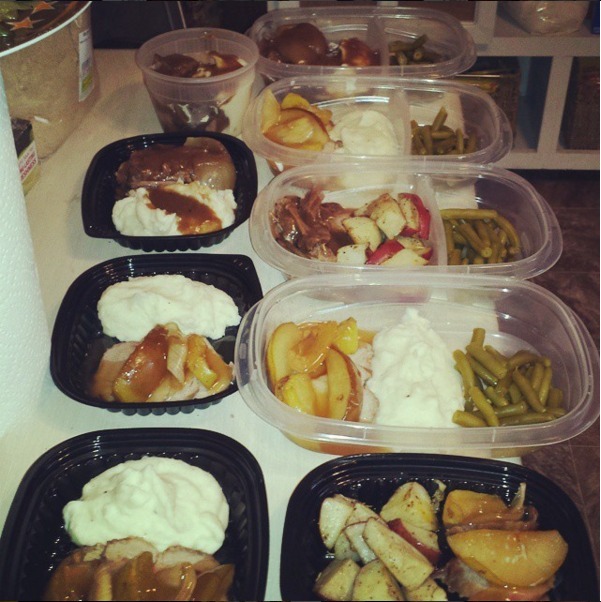 A reader packaged single serving meals to deliver to her elderly friends – apple pear pork loin with mashed potatoes, and roast with rosemary red potatoes. For some of you, this is nothing new. 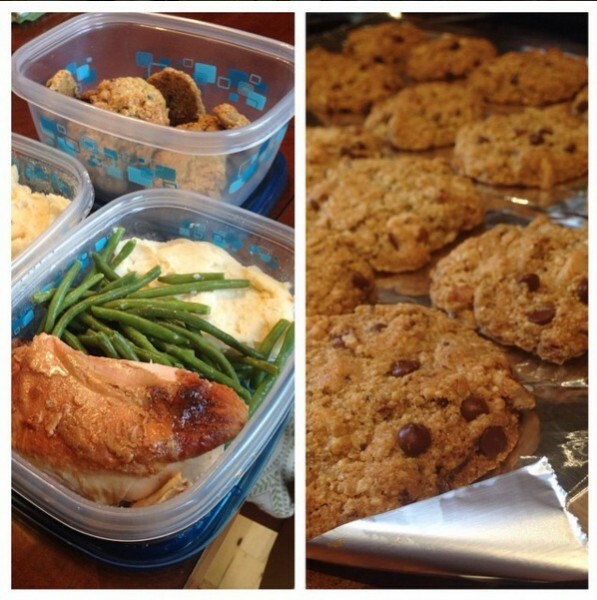 We have heard from many of you that you regularly share freezer meals or that your church, mom’s group, etc. keeps a freezer stocked with meals to share when they are needed. You can encourage other individuals or communities by sharing how you freezer cook for others. To be honest, the whole OAMM team gets a shot of excitement and a reminder of why we do what we do every time you share one of these stories with us. Please take a look at the following resources and get started! We are keeping this going through the rest of February and March. Help Stock their Freeze Before Baby!